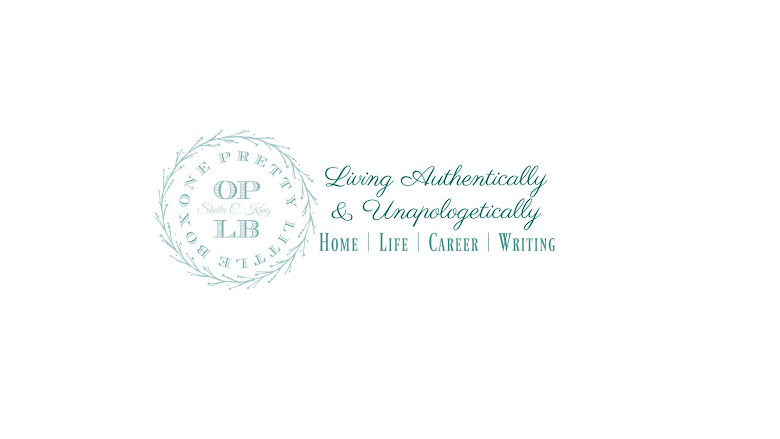 One Pretty Little Box: What Inspires Me Wednesday: Inspiration is EVERYWHERE! 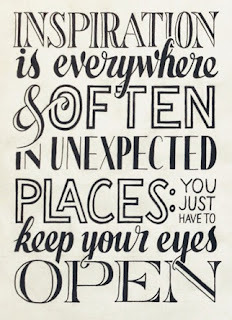 What Inspires Me Wednesday: Inspiration is EVERYWHERE! How hard is it to believe that is already yet again, another Wednesday!? Time is flying by! This Wednesday I want to talk to you about a daily necessity that is often over looked or taken for granted. For me, it is just as important as pulling out my planner and making sure I know things that need to be tended to. In fact, I sometimes ADD them into my planner so they are in my face often. It's a habit, and just like breathing it happens naturally. Though it didn't used to be. In fact, I used to allow it to happen as it did, instead of making it a priority. Until one morning I got tired of waking up feeling like I was in a fog of some sort. What am I talking about? Inspiration. See, If you live your life going through the motions and doing the same things in and out you will NEVER discover the purpose in which you were created for. It isn't until you actually go searching for more in this life that you discover you ARE more than you allowed yourself to be and do. Who are you? What do you want to do in this life? What are your special talents, gifts? What do you have to offer the world that no one else does? The definition of inspiration is a feeling of enthusiasm you get from someone or something which gives you new and creative ideas. The other definition for the word AMAZES me because it truly is what I live for! The other part of the definition is drawing in of breath or inhalation. Without breathing air in you die. Without inspiration ... a part of you also dies. I know I have felt it. I have seen it in others, and I have seen the aftermath of what happens when they allow that in their lives. 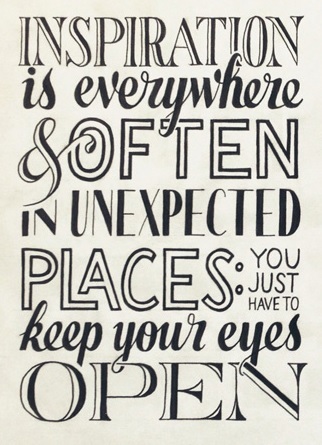 Inspiration is EVERYWHERE, you just have to look for it! Sometimes you can get caught off guard and it will be a gift of the day,but like I said in the beginning I have made that a priority in my life because at one point I did feel like I was dying. I had lost who I was in the midst of becoming a good teacher, a good wife, and a good mother. Sure those things I love about my life but I knew deep down inside that there was more because well... I had a hole deep inside. A hole that even spending time in worship, prayer, and the word didn't fill completely. So... I did what I knew to do ~ search it out! I found various podcasts/videos on YouTube that grabbed me just where I was, and shown me that I could find that missing puzzle piece if I put my heart and mind into it. I also found some amazing pages on Facebook that flood my news-feed with tons of quotes, thoughts of the day, articles that got my heart and mind on the same track. Yes, I look in the Word, listen to various Christian speakers but I also look for what is missing at that moment. Some days I need inspiration to clean (crazy I know), to write, to get out and mingle with friends and neighbors, to be still and quiet. I used to want books upon books, but being a writer I have been inspired to read a little, write a lot. For me it is working right now. Next week I may have to go with a different plan. What kind of inspiration are you to others? We cannot just look for inspiration to fill our void. We also need to understand that there is something about who we are that inspires others. Sometimes even the negatives in our lives inspire others to keep watch on their own lives in those areas of negativity. We cannot expect to be inspired and not required to be an inspiration to someone. I love that verse because it is a GREAT reminder when we receive, we should give back!